Below you fill find all funeral homes and cemeteries in or near Elma. Elma is also known as: Howard County / Elma city. Zip codes in the city: 50628. It was written by Waterloo/Cedar Falls Courier on December 18th, 2018 that Charlotte C Conway passed on in Elma, Iowa. Conway was 101 years old. Send flowers to share your condolences and honor Charlotte C's life. It was reported by Waterloo/Cedar Falls Courier on October 1st, 2018 that Doris B Steffen perished in Elma, Iowa. Steffen was 90 years old. Send flowers to express your sorrow and honor Doris B's life. It was disclosed by Milwaukee Journal Sentinel on August 19th, 2018 that Bernice D Kvidera (Semerad) passed on in Wisconsin. Ms. Kvidera was 93 years old and was born in Elma, IA. Send flowers to express your sympathy and honor Bernice D's life. It was revealed by Waterloo/Cedar Falls Courier on February 21st, 2018 that Joan Gebel passed on in Elma, Iowa. Gebel was 82 years old. Send flowers to share your condolences and honor Joan's life. It was reported by Waterloo/Cedar Falls Courier on December 7th, 2017 that Katharine Karen "Kaye" Brophy (Halpin) died in Elma, Iowa. Ms. Brophy was 72 years old. Send flowers to share your condolences and honor Katharine Karen "Kaye"'s life. It was revealed by Waterloo/Cedar Falls Courier on September 11th, 2017 that Mary Ann Tolliver (Kittelson) passed away in Elma, Iowa. Ms. Tolliver was 78 years old. Send flowers to share your condolences and honor Mary Ann's life. It was revealed by Waterloo/Cedar Falls Courier on May 19th, 2017 that Elaine Frieda Alice Eschweiler (Groth) passed on in Elma, Iowa. Ms. Eschweiler was 82 years old. Send flowers to express your sorrow and honor Elaine Frieda Alice's life. It was written by Waterloo/Cedar Falls Courier on April 26th, 2017 that Rosalie M Meier passed on in Elma, Iowa. Meier was 91 years old. Send flowers to express your sympathy and honor Rosalie M's life. It was reported by Waterloo/Cedar Falls Courier on April 23rd, 2017 that Suzanne Rahif passed on in Elma, Iowa. Rahif was 79 years old. Send flowers to express your sorrow and honor Suzanne's life. It was noted by Waterloo/Cedar Falls Courier on April 16th, 2017 that Lorraine D Swenson (Joachim) died in Elma, Iowa. Ms. Swenson was 87 years old. Send flowers to share your condolences and honor Lorraine D's life. 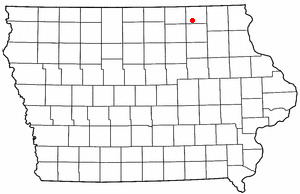 Elma is a city in Howard County, Iowa County, Iowa, United States. The population was 598 at the 2000 census. . . . The finest roses, gifts and Mother's Day flowers delivered fresh. Serving Elma, Iowa, surrounding suburbs and the entire country. We work with local florists and flower shops to offer same day delivery. You will find budget sympathy flowers in Elma here. Our funeral flowers are cheap in price but not in value.